– In December 2017, Poland’s ruling Law and Justice Party (PiS) put forward judicial changes that it says will “deepen democracy” while allowing the government to make significant interventions in the judiciary. – The EU has threatened Poland with punitive measures in response, which have thus far been unsuccessful: Prime Minister Andrzej Duda has signed the reform bills into law. – The Commission has since proposed amendments to rule of law mechanisms that will see member states’ compliance in this area linked to receiving better benefits when EU funds are disbursed in the budget. – Poland has been given until the end of June to settle the dispute with the EU before the Commission takes further steps. 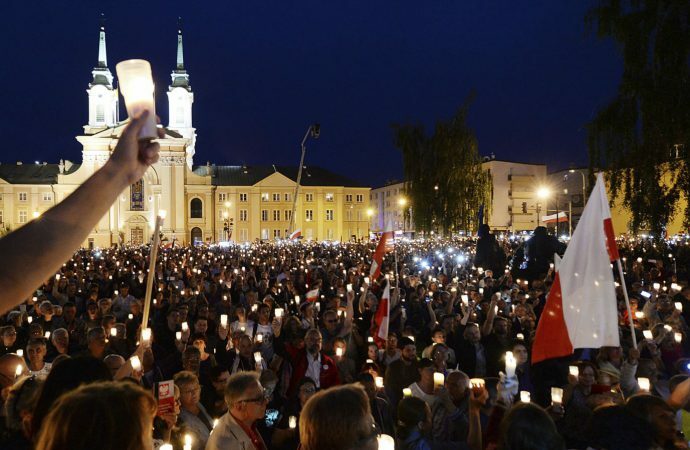 Over the past two years, several controversial new judicial reforms have been passed in Poland, despite significant public protests and EU criticisms. The reforms include a reduction in the retirement age of Supreme Court justices – which will see around 40% of the court’s 86 judges immediately retire – and a new requirement that members of the National Court of Justice must be elected by the parliament. Poland’s ruling nationalist PiS party claims the changes will improve efficiency and curb corruption, a view not shared by the EU. 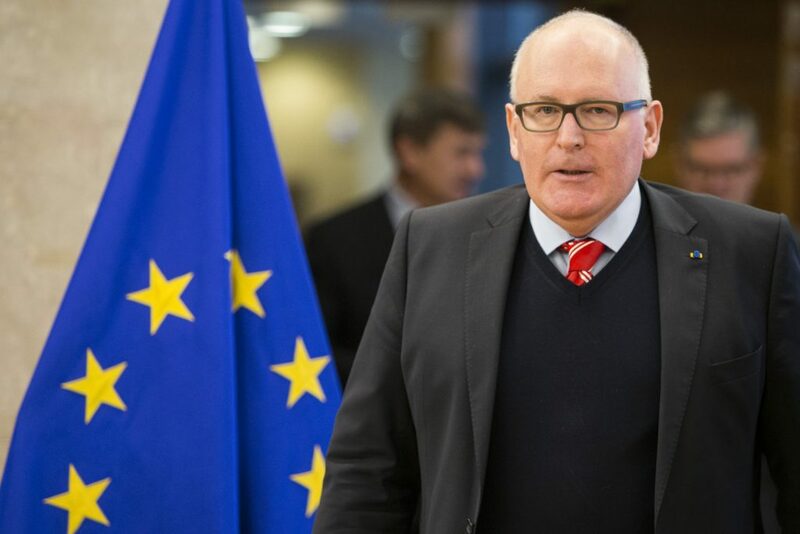 Aimed at protecting the rule of law in Europe, Brussels responded by giving Warsaw three months to overturn the laws under the threat of punitive measures. These would come under the never-before-triggered Article 7 of the Treaty of the European Union, actions including sanctions and a loss of Poland’s voting rights at summits. 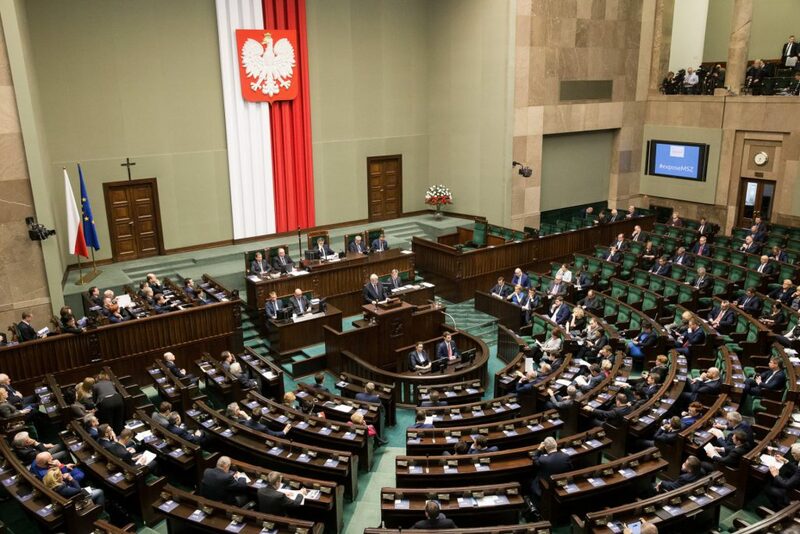 Since the passing of the initial deadline for changes to the reforms passed on March 20, the PiS announced certain modifications. These include requirements that the president would have the right to decide whether judges can work past the age of 65, and the precondition that the justice minister must consult judges before dismissing a court president. More recently, Foreign Minister Jacek Czaputowicz reaffirmed Warsaw’s continued commitment to striking a deal with Brussels, though he has failed as yet to appease the European Commission, which is firmly backed by France and Germany. 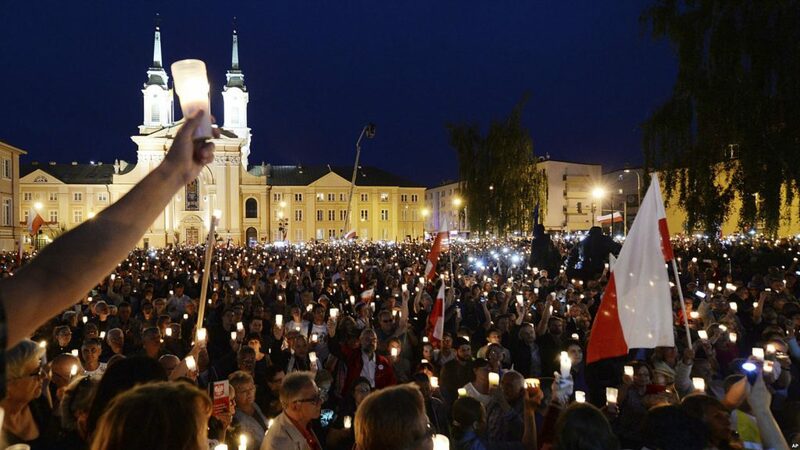 The reforms are opposed by the European Commission, the majority of Poland’s judiciary and political opposition, as well as most of the international community. The changes give the ruling government significantly increased power over the court system and are perceived as an illegitimate and illegal interference of politics and judiciary. For the PiS, the reforms are essential for making the judicial system more independent and transparent — or at least are touted to be. The party argues that the changes will assist in curbing corruption and address concerns that many high-ranking judges have been linked to the former Communist regime. For Brussels, this is just a way for the PiS to place party loyalists in positions of power. Nonetheless, Warsaw continues to engage in dialogue with the EU regarding the reforms. In particular, it is emphasising the inefficiency of its current judicial system; while Poland has more judges per capita than most other European countries and its judges are paid more than the national average in France and Germany, Polish courts tend to take far longer than their European counterparts to conclude an average case. Despite this, Warsaw has already acquiesced somewhat to the EU and modified aspects of its reforms, including by abolishing the justice minister’s ability to remove judges without negotiation, and by making male and female judges’ retirement ages the same. While there is substantial opposition to the changes in Poland itself, the PiS still enjoys a strong majority at home. As such, the EU’s staunch opposition to the reforms is furthering Euroscepticism amongst Poles. Further exacerbating these tensions is Warsaw’s reliance on Brussels: it is the biggest recipient of EU funds and remains a steadfast NATO member. If the EU is successful in its punitive attempts to divert funds away from Poland, the economic implications will be significant. Once a shining example of successful European expansionism, Poland now faces financial cuts in crucial areas such as common agricultural policy and cohesion policy, which provides funding to reduce economic disparities between different European regions. Despite these concessions, the EU and much of the international community feel that democracy and the rule of law in Poland remain at risk. For many, the controversy over the judicial reforms is merely one of many layers concerning Polish democracy and the growing rift between the Brussels and Warsaw. How Brussels deals with the situation will have significant implications and send an important message to all its less compliant eastern members. Nations such as Hungary and the Czech Republic are already facing issues regarding their EU migrant quotas; how the EU does or does not manage its relations with Poland will set an important precedent. That Poland has been so willing to engage in dialogue with the EU thus far is promising. Although Euroscepticism remains, Warsaw’s focus on conversing with Brussels through the formal channels indicates that heading down the path towards Russian autocracy is unlikely. The PiS’ recent modifications to the reforms, although minor, suggest it is prioritising relations with the EU over its apparent resolute commitment to increasing efficiency. Ultimately, the EU will be forced to broker a deal with Poland, as it will be unable to gain the support of all its member states to fully enforce punitive measures. However, to save face as a champion of democracy, Brussels will also need to declare victory on these issues. As such, it is likely the EU will soften its stance on certain softer aspects of the reforms, such as judges’ retirement age. Yet if the EU successfully pushes through its punitive attitude, Warsaw will receive fewer economic benefits and significantly reduced influence in Brussels. This will inflame Euroscepticism to the east, further entrenching the deepening rift between the EU and the so-called newly European nations. In reality, despite Poland’s failed legal defence, imposing budgetary restraints on member states will be difficult for the EU. Hungarian President Victor Orban has already signalled that he would veto any such proposal by Brussels (a decision influenced by self-preservation). Moreover, with European elections less than a year away, it is unlikely that any real priority will be given to changes to the budget. Negotiations in this domain are already being complicated due to Brexit; pressuring Poland through the budget can be expected to take a backseat. The most likely outcome is continued dialogue between Warsaw and Brussels, eventually resulting in new reforms. Both sides’ willingness to promote discussion and find common ground is particularly promising. Issues of Euroscepticism aside, neither Poland nor the EU seeks a deepening of tensions: renewed discussion is the only path forward.